WHY CHOSE TO LIVE IN DOMINICA? Dominica has been described as one of the most beautiful countries in the world. For the distracted observer, this impression is immediately confirmed from the first citing of the Island. Nestled between the French Islands of Martinique and Guadeloupe, this “Nature Isle” is steeped in unparalleled natural beauty, a rich Creole culture, and the friendliest people in the World. Dominica lies in the center of the Caribbean chain of islands, between the French overseas territories of Guadeloupe and Martinique. It is a rugged island noted for its mountains, rivers and waterfalls. It, more than any other island in the Caribbean, has managed to retain its natural beauty. Dominica is a democratic country which has enjoyed universal adult suffrage since the 1950’s. It follows the Westminster model of Government. Dominica’s economy is substantially based on agriculture, although in recent years great strides have been made on diversification into tourism and offshore services. Bananas are Dominica’s principal export and it contributes about 80 percent of Gross Development Product (GDP). Dominica’s traditional market for its bananas is the United Kingdom where its exports, along with those of the other Windward Islands, enjoy preferential treatment. Recently, however, the preferential treatment of Dominica and other African Caribbean and Pacific (ACP) bananas has been under attack and has been subject of adverse decisions in the World Trade Organization (WTO). This has cast a dark shadow over the continued existence of Dominica’s banana industry in its traditional form. Dominica’s public spending on health was 4.2 per cent of GDP in 2011, equivalent to US$418 per capita. In the most recent survey, conducted between 1997 and 2009, there were 50 doctors, and 417 nurses and midwives per 100,000 people. Additionally, in the period 2007-12 all births were attended by qualified health staff and in 2012, 99 per cent of one year olds were immunized with one dose of measles. In 2010, 96 per cent of the country’s population was using an improved drinking water source, and 81 per cent had access to adequate sanitation facilities in 2005. Health services within the country are made up of a network of 52 health centers and two district hospitals. The Ministry of Health is responsible for the provision and financing of health care services. Its mission is to promote the well-being of all citizens of Dominica through the provision of preventive, curative and rehabilitative health care, compatible with acceptable standards of human dignity at a cost that is affordable and sustainable. Reading the above I hope that I caught your interest and you will be willing to read more information about how you can obtain citizenship and how you can invest in Dominica and make a living. The passport program, started in 1993 is well established, and over 5000 people have gone through the process. The government of Dominica has made the process refined, transparent and clear. 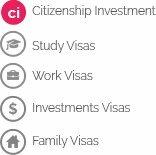 The Dominica economic citizenship program in Dominica is completely legal, and you will get a true, Dominican citizenship and a Dominica passport once you have gone through the background check process, and made a direct, non-refundable payment to the Government of Dominica. 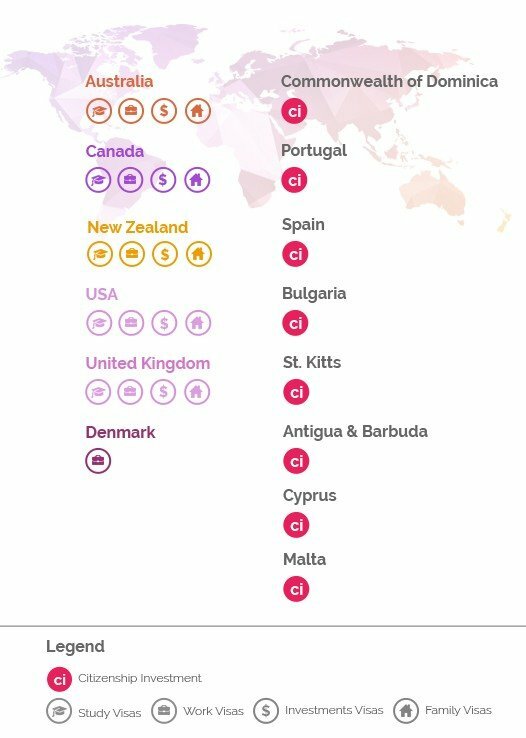 Dominica has been named as one of the world’s happiest places to live. Boasting a high number of centurions (people who have lived to be older than 100 years), it offers an easy lifestyle within a safe, peaceful and pristine environment with a culturally vibrant and friendly community. The “Nature Island of the Caribbean” is a green tropical paradise and one of the most beautiful islands in the Caribbean. It is practically untouched nature with countless rivers and waterfalls, and emerald green mountains dropping dramatically into the turquoise sea. Dominica hosts the world’s second-largest hot spring, Boiling Lake and features lush, mountainous rainforests, which are home to many rare plant, animal, and bird species. Dominica’s clear and calm oceans offer excellent opportunities for diving and snorkeling and have spectacular dive sites including shipwrecks and even underwater hot springs. Passport holders can use their citizenship to benefit from greater ease of international travel, including to the United Kingdom, Singapore, Hong Kong and Ireland. Dominica will shortly also be able to offer visa-free travel to the European Schengen states. Moreover, the government of Dominica has provided a number of fiscal and other concessions which aim to make doing business in this island paradise even more attractive, these include generous tax holidays, import duty and tax waivers, and streamlined processes. A single applicant needs to opt for package A in order to become a citizen of the Commonwealth of Dominica. Package A implies a non-refundable investment of USD 100,000. Families can also apply and have to apply under packages B, C or D, depending on their family situation. An applicant with a spouse and no children needs to opt for package B, which implies a non-refundable investment of USD 175,000. An applicant with spouse and maximum two children below the age of 18 needs to opt for package C, which implies a non-refundable investment of USD 200,000. An applicant with a spouse and more than two children below the age of 18 needs to opt for package D, which implies a non-refundable investment of USD 200,000 and USD 50,000 for every additional person below the age of 18.